Dartmoor view from Blackslade Down looking to Hamel Down over Widdicombe church and Blackslade. Patches of sun and cloud scurrying over fields and moor. 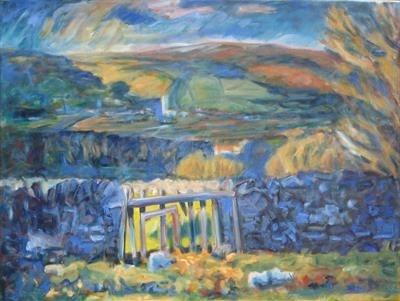 Blue shadow on grey walls against dazzle of sun behind a gate.